This Gravity Analog 20A current sensor is based on the Hall current sensing principle. It can be used for AC or DC current measurement, has a wide voltage range, a small footprint, requires no soldering and has a high level of precision. We have added high-voltage isolation in the circuit design for safety reasons and a non-conductive acrylic plate has been attached to the bottom of the PCB to prevent accidents such as short circuits, electric shocks and any other potential danger. This component is the newest member of our Gravity series. 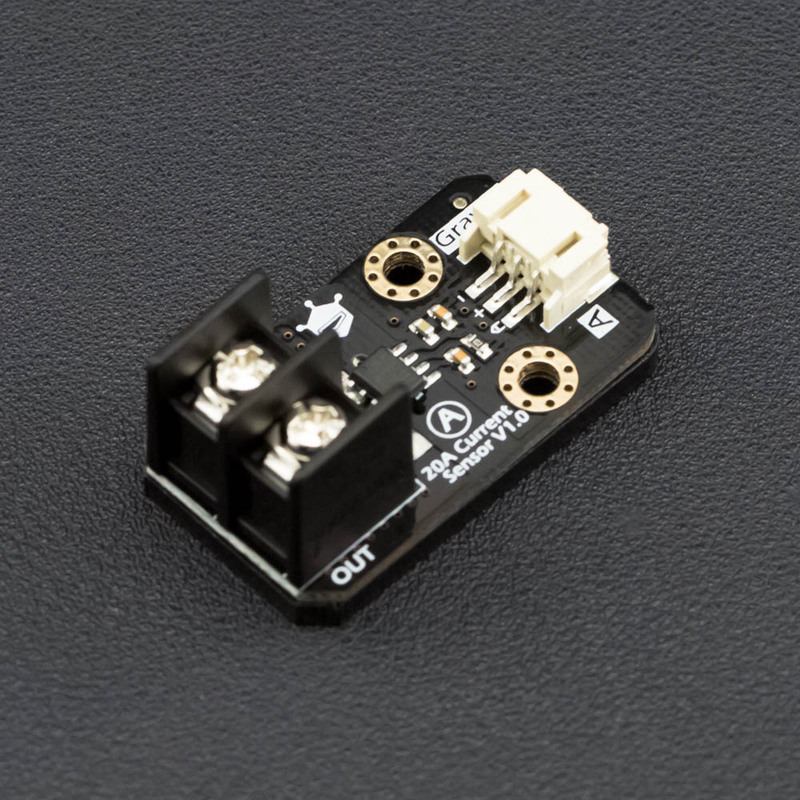 All Gravity components include a standard 3-pin interface to make it simple to use and easy to connect to all Arduino compatible boards. It is ideal for any automation control applications. Note: It doesn't recommend measuring the current over 20A. And please be careful careful careful with the high voltage circuit. It is very dangerous! 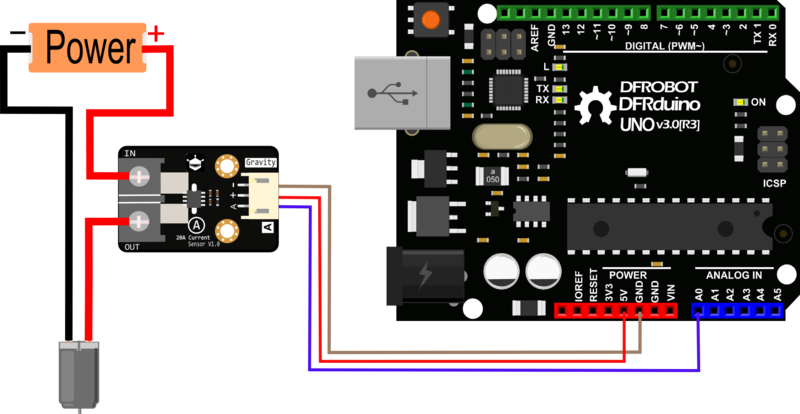 This tutorial demonstrates the usage of the 20A current sensor. This sample code shows how to use 20A current sensor module. return (3300);                                  //Guess that other un-supported architectures will be running a 3.3V! Function Introduction: float readDCCurrent(int Pin) , this function is used to measure the DC current. float readACCurrent(int Pin) , this function is used to measure the AC current, and it returns the RMS of AC current. You could only use one of them according to the measured current. Do not use both of them at the same time. 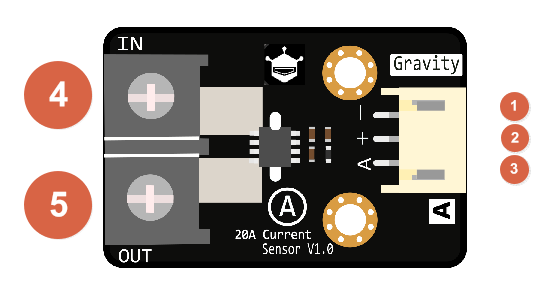 Shopping from Gravity: Analog 20A Current Sensor or DFRobot Distributor.